Back in the day, he worked pretty hard in Westport too. The article describes what happened in 1966 when Sandy Dennis — nearly 20 years his senior — first saw him. She thought he could be the Next Big Thing. What first impressed Eric when he walked into Sandy Dennis’s house in Westport, Connecticut, was her 2,500-book library. Even when he was a boy, disappearing into books was one way Eric handled his social isolation. They began “this little book affair,” which turned into a 4-year relationship, from 1980 to 1983. It almost ended, Eric says, after he had a brief relationship with another actress while Dennis was on the road doing a play. Sandy found out and forgave him, but there was another problem: “Too many cats. By now there’s a hundred cats. Not 30, there’s 100,” Eric recalls. He offered to start an animal shelter if she would agree to keep just 10 or 12, but Sandy refused. Neither would budge, so Eric asked for his engagement ring back. Over the years he had bought her an antique jewelry box and a lot of jewelry, but he wanted her to return only the ring. In fact, she died right here in Westport, of complications from ovarian cancer. She was just 54. This entry was posted in Arts, Entertainment, Looking back, Media, People and tagged Eric Roberts, Sandy Dennis, Vanity Fair. Bookmark the permalink. I LOVED her in, “The Out Of Towners,” with Jack Lemmon! 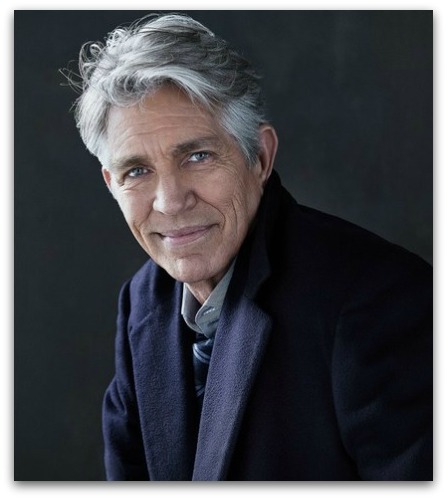 I have also definitely seen Eric Roberts around town before, very distinct look and hard to miss. The fascinating history within our town being unraveled story after story by far makes me prouder to be a life long resident. 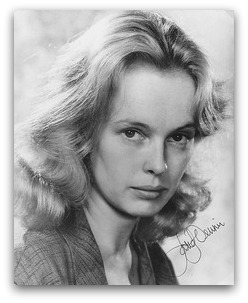 Sandy Dennis acted as a chaperone for one of my theater trips to NYC with a senior class. She was charming, got along with the students and served a a great critic on our trip back to Westport. The other chaperones were Paul Newman and Joann Woodward! I will never forget the day he walked into The Organic Mkt. while I was working there in 1983. He must have been in his late 20’s, and was so incredibly handsome, I was tongue tied…I knew he had to be somebody special…The other woman I was working with was giving him a hard time about something he wanted to buy and he was getting angry. I took over and talked with him for awhile and he ended up buying what he had come in for and left with a smile on his face. I will never forget the day we picked up Sandy Dennis’s mothers brass bed which I have in my house, the number of cats strolling around there was incredible! (and so was the stench!) Someone said it would be hard to prove we bought her mothers brass bed as we paid cash for it but I know it was hers, my father in law paid for it and we have used it ever since! Its a small double bed size antique brass bed with one loose part, a finial on the headboard. Wow, didn’t know about Eric Roberts but not surprised, another Westport tale of a famous person! Caught a ride hitch-hiking by Sandy Dennis’s mother. Nice lady. A word about Sandy Dennis’s library. I went to the tag sale held at her home, after she died. Then, as now, I was a book collector, but by the time I got there, her collection had been picked over. Still lots of books on the shelves, mostly modern books and none with dust jackets, Odd…and then I found the answer in a box near the shelves filled with all the missing jackets. Probably an interior decorating decision, but by who? The Constantikes family, Joan, George and daughters, had a cat from Sandy Dennis.. Her name was Elsie, really L.C. for “Last Cat”, though Joan said Sandy went on to shelter more cats despite her intentions with L.C. I saw Sandy Dennis and Gerry Mulligan several times at Maneros (the best!) and more times than I can count at the Food Emporium with her mother buying cat food – that’s all, just a cart piled with cans of cat food. I was in my twenties with a three year old and a three month old taking the train just a few stops to Stamford to meet my husband. It was an awful ride. The three year old kept trying to run around the train and my hands were full with a baby carrier and diaper bag. I was close to tears over a very bad idea. I was overwhelmed.No one paid any attention to my plight nor were there any offers of assistance. The conductor announced that Stamford would be the next stop and I was desperate to get off the train. Suddenly a woman with two kittens handed her kittens over to the person sitting next to her, whom I don’t believe she knew, got up, ran over and grabbed my runaway daughter by one hand, soothing her as she did , grabbed the diaper bag in her other hand while I struggled with the baby carrier and escorted us off the train onto the platform. I didn’t recognize her at the moment but thanked her repeatedly and when I realized who she was I had no way to write to her to truly express my gratitude. She was an amazingly kind, considerate and generous person aside from being very talented. I have never forgotten her nor her pets. I am highly allergic to cats! Not enough kindness in this world. Not decades ago and certainly not now. I think of her to this day. She had inspired me in more ways than I can say here. Thank you for writing about her albeit as a secondary character.